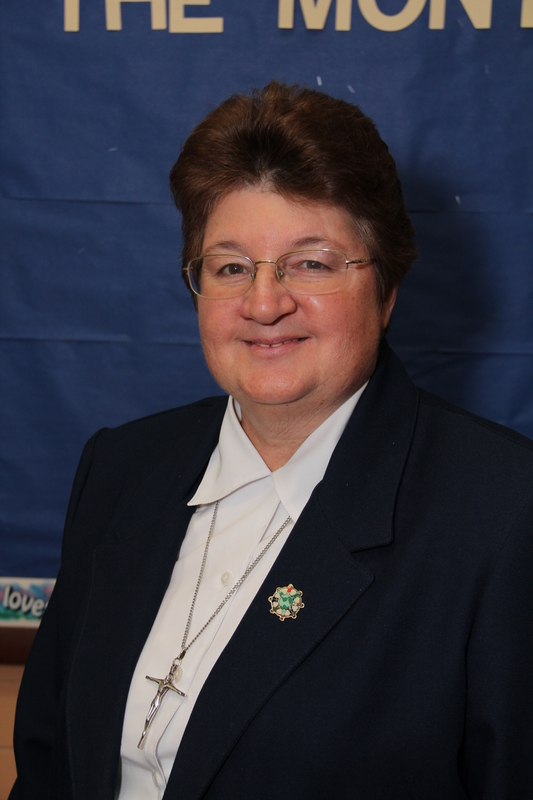 Last October, when the annual Catholic school administrators’ conference was held in Avalon, N.J., Immaculate Heart Sister Virginia Paschall was startled when she received a Distinguished Principal Award. Her school, Blessed Virgin Mary in Darby, certainly isn’t large. It has at this point 214 students K-8, and it’s a struggle; Darby is by no means the most prosperous community in Delaware County. Maybe that’s the point. At a time when Catholic schools are falling by the way side right and left, little BVM is still in there plugging, and Sister Virginia is a large part of the reason. Sister Virginia herself is a Delco product, out of St. Joseph Parish in Collingdale. After her 1969 graduation from Archbishop Prendergast High School, she wasn’t sure what she wanted to do, so she worked for an insurance company for a year before entering the cadet teacher program the Archdiocese conducted at the time. Through this program she attended night and summer courses at St. Joseph’s College while teaching 49 kids in second grade at Sacred Heart School in Clifton Heights. She discovered she loved teaching and after one year she entered the Sisters, Servants of the Immaculate Heart of Mary. After her novitiate it was back to second grade, this time at St. William Parish in Philadelphia, where she also worked in sacramental preparation. This was followed by teaching in the seventh and eighth grades at Sacred Heart School in South Philadelphia, principal at St. Mark’s in Bristol and St. Veronica in North Philadelphia, and for the past 11 years at BVM. Classroom teaching, especially in the upper grades, was a real love but administration presented entirely different challenges. It is also being open to the new technologies, “preparing students for the 21st century,” she said. “It is also teaching the students to work collaboratively. It is taking educational risks and experiencing success which you can see in the faces of the children. At this point the BVM school population is only about 39 percent Catholic, which makes maintaining the religious identity especially important. “We work with the teachers in faith formation,” Sister Virginia said. “We welcome children of all faiths, but we teach them about our religion and let them know prayer is universal.